It all comes down to the wire this week at Nebelhorn Trophy, which takes place in Oberstdorf, Germany, Sep. 28-30. This competition is the final opportunity for nations to earn one or more of the remaining Olympic berths, so expect the competition to be fierce. A total of 141 skaters from 51 nations are slated to contest the events. 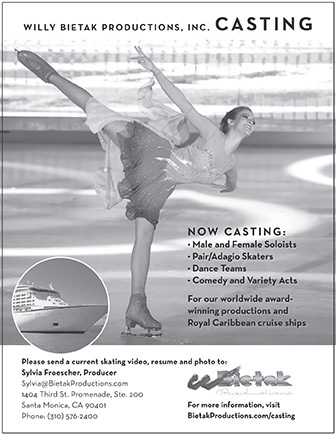 This number includes skaters from nations that are not seeking Olympic qualification. There are six (6) spots open in each of the ladies and men’s singles disciplines; five (5) in pairs (one more opening is available since France will not be filling the second berth it earned at Worlds), and six (6) in ice dance (Denmark returned its allotment due to the citizenship issues of its team). The judges’ draw for the 2018 Olympic Winter Games will take place on Saturday at 8:30 p.m (local time). Canada’s Patrick Chan was scheduled to open his season in Oberstdorf, but boot problems forced him to withdraw.